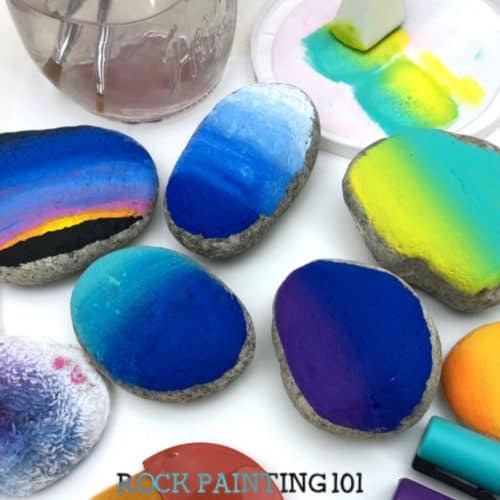 Learn all about blending paints on rocks to create beautiful backgrounds on your painted rocks. 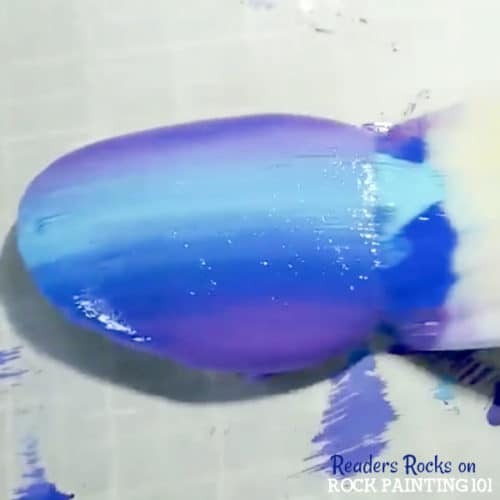 Blending paints on rocks. How hard could it be? Well, I wouldn’t say it is hard. There are just so many ways to go about it and so many variables to take into consideration. 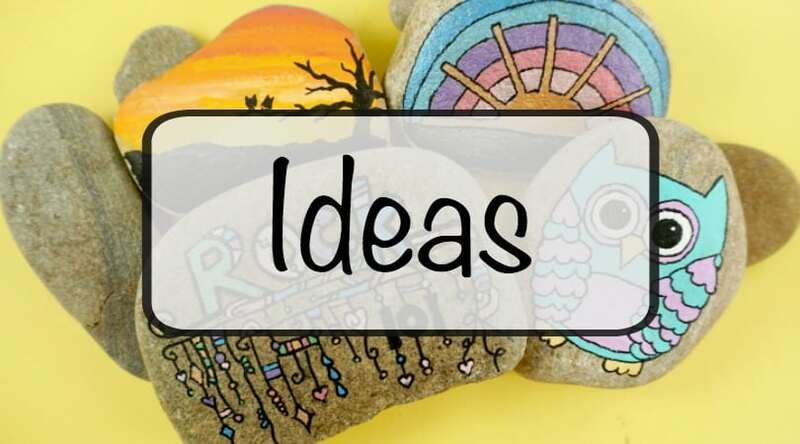 Are you starting on a base coated rock? 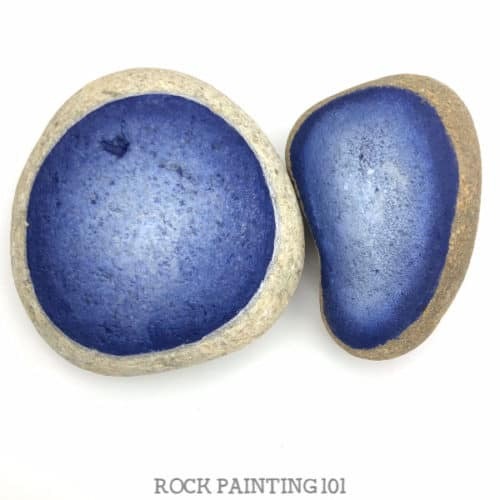 Does your rock absorb a lot of paint? 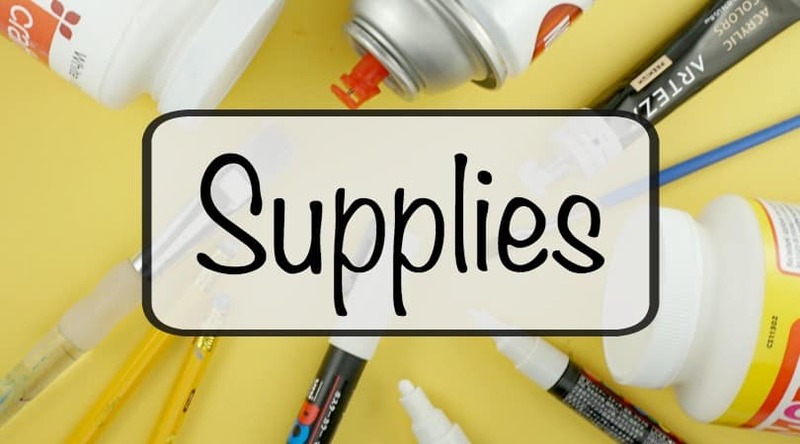 Do you prefer acrylic to paint pens? You’re in luck! We have lots of different tutorials to help you decide which way is best for you and tips to help you be as successful as possible as well. 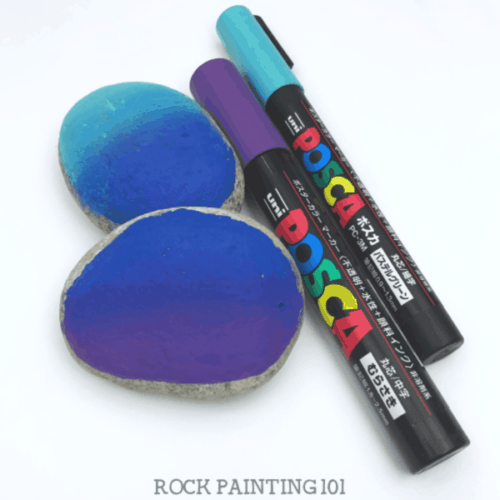 Check out our favorite supplies for blending paints on rocks! 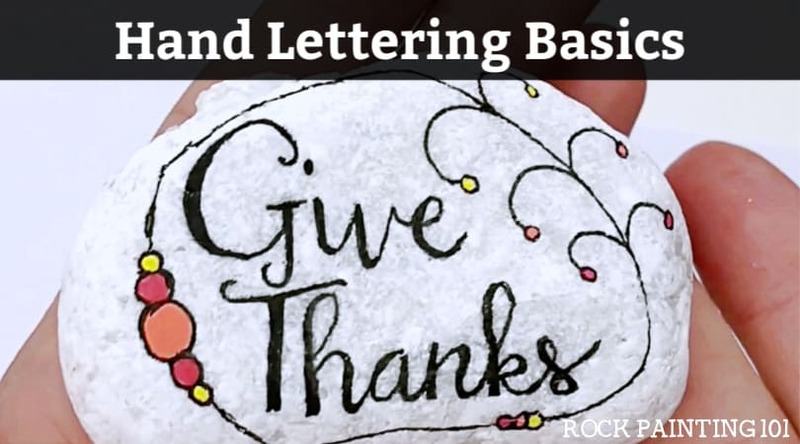 This method of blending on your rocks is perhaps the easiest way to go. 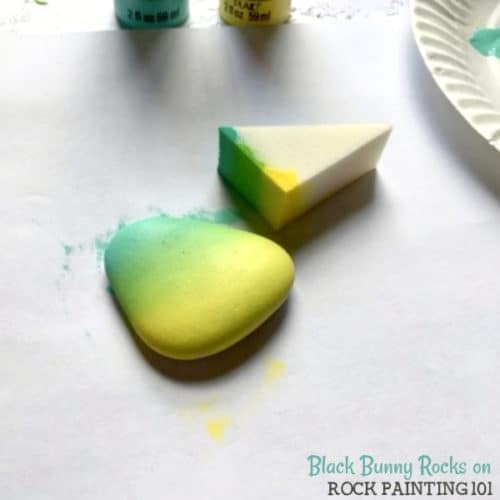 It was a tip from one of our rock painting tutorial members and has beginners jumping for joy because of its simplicity! If you want a bit more precision in your blending you may want to give this beautiful blending technique a try. I love how unique this radial blending technique is. Check out the tutorial here. Not needing a complete blend and want to go with more of an ombre effect? Tutorial coming soon! You can start with the basics and blend 2 colors together. NO brushes are necessary. If you want to get more technical you can grab a brush and a bit of water to pull off a beautiful blend of multiple colors. Perfect for a sunrise or sunset. 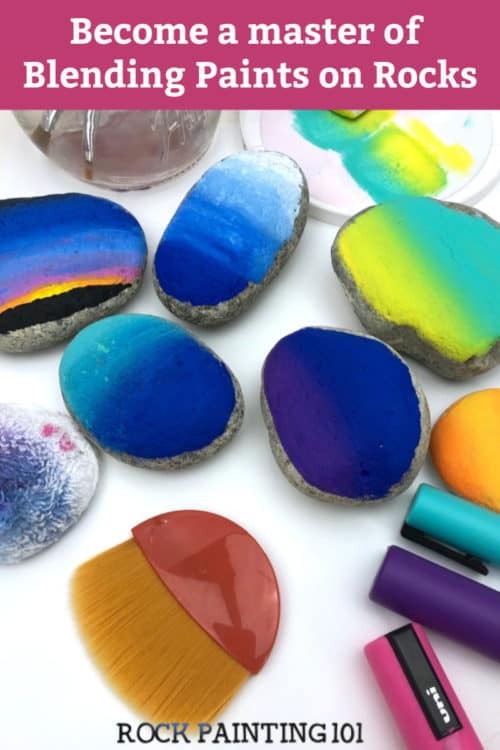 If you are looking to make a fun blend on a bunch of rocks at once you might just want to give base coating your rocks with spray paint a try! 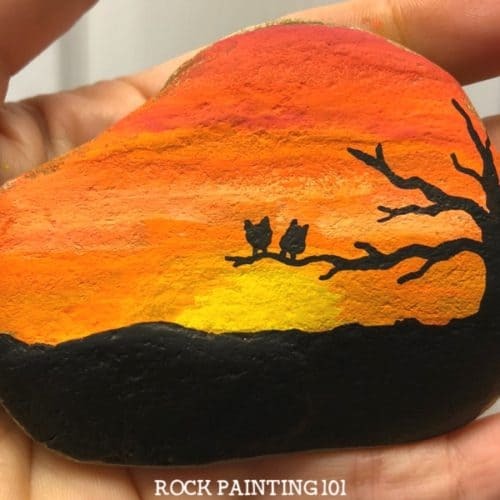 Try one or two techniques for blending paints on rocks before deciding your favorite way to go. 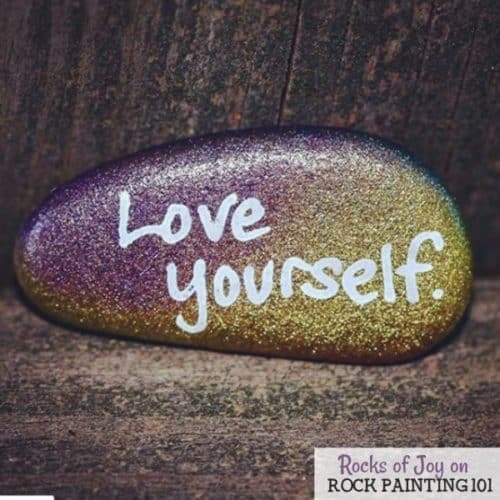 Also remember you will learn a bit with each rock! 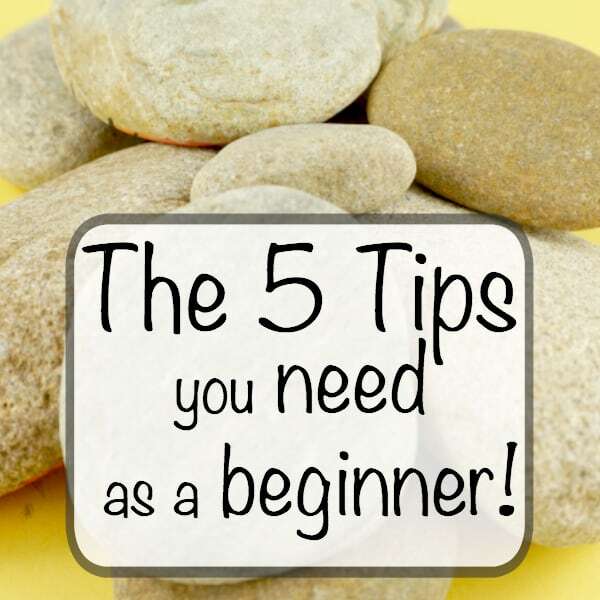 If it doesn’t look perfect the first time that doesn’t mean you won’t improve a lot by rocks 2,3,& 4! If you enjoyed this collection of blending tutorials, please pin it to your favorite Pinterest board! 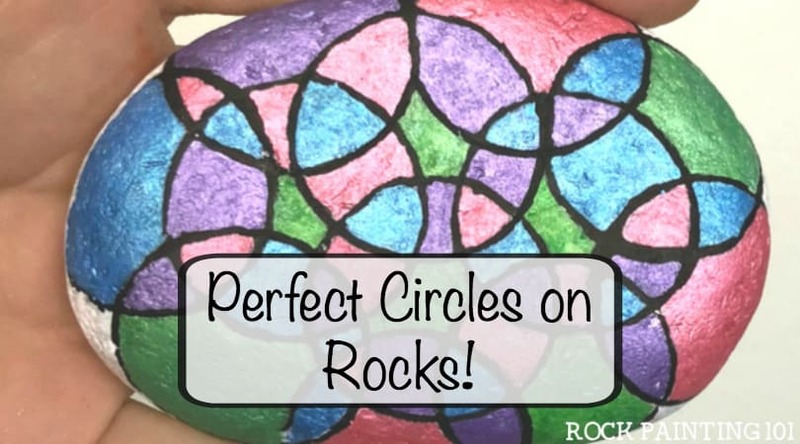 If you enjoyed this fun rock painting idea, you’ll love these!